With rising fuel prices, living expenses and the convenience of online shopping today, it is very easy to get carried away and spend too much money. Luckily, there are a number of apps out there that can aid in keeping your spending under control and help you save money. Local is always lekker and it doesn’t get more local than StokFella. StokFella is an online stokvel platform that not only makes it easier for stokvel clubs to manage their monthly payments and claims online, but grow their savings through sound investment channels. The platform offers a “Basic” or “Advanced” account to users. The Basic account is completely free but is limited in terms of the number of people you can have in your stokvel, as opposed to the Advanced account that allows for up to 50 members, and gives one access to interest-bearing investments like QuickAccess (4.25%) or 32 Day (5.25%). The costs one incurs while using the Advanced account is limited to transaction charges only. This nifty app – backed by Old Mutual – identifies each transaction and automatically puts it into a category like “Groceries”, “Rent” or “Pets”. You are able to use existing categories or create your own. 22Seven then adds up how much money you spend on each category every month so you know exactly how much you are spending and on what. This will provide insight into how to save money that is being spent unnecessarily. An added benefit of 22Seven is that all of your income and expense categories are exportable which can help in reducing the pressure when it comes to submitting your tax returns. Stash is a great way for people to invest their spare change into the Top 40 companies in South Africa and start building their investment portfolio. Once the app has been downloaded, the user links their card to the Stash app and each time the card is swiped, the amount is rounded up to the nearest R10 and that is then automatically invested on the user’s behalf. One can link any debit, credit or cheque card from FNB, Standard Bank, ABSA, Nedbank, Investec, RMB, Capitec and DiscoveryCard. This app allows you to input your regular income, recurring expenses, and the percentage of income you want to save each month. It then calculates how much money you are able to spend each day in order to meet your goal. 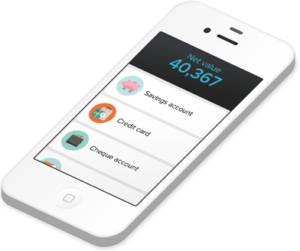 If you exceed your daily spend limit, don’t fear, the app automatically adjusts your entire month, keeping you on track. 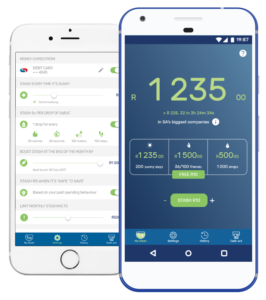 Whether you bank with Nedbank, Standard Bank, ABSA or any other bank, they will all typically have an app that customers can download. These apps will give you access to your various accounts (savings, cheque, even money market accounts) and provide you with the options of transferring money, paying beneficiaries, even saving a pre-determined amount of money each month. Having access to your bank’s app is crucial as it provides one with the opportunity to keep track of your spending habits and identify where you should cut back on spending.